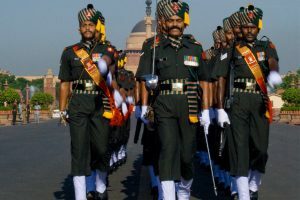 Indian Army Soldier Tradesman Bharti 2019: Army Rally Bharti Mess Waiter, Postal, Pnr, Painter, Tailor, Carpenter, Cook, Barber, Store Hand, ASH, Ferrier, House Keeper, Mess Keeper, Washer man, Mochi, Wood, Masalchi, Cyce, Guard Dog, Mali, Safai Karmchari in Soldier Tdn Trade/category. Army Open Rally Bharti Soldier Tradesmen Online Registration/Application, Document required for online application form, Army Bharti Admit Card, Physical Fitness Test, Physical Measurement Test, Documentation, Medical Test, Written Examination, Written Exam Syllabus and Final Selection Procedure for Sol Tdn category are given in following paragraphs. Important Notice: Candidates must read the para wise instructions carefully to join Indian army through army recruitment rally bharti in the Sol Tdn trades/categories. You have to follow the rules in disciplined manner for final selection to join the Indian Army. Candidates may be rejected at any stage from Indian army recruitment rally bharti process due to a small mistake, so be careful during army recruitment at rally site. Age Limit: Candidates between 17.5 to 23 years of age are eligible to apply online registration for Soldier Tdn category. 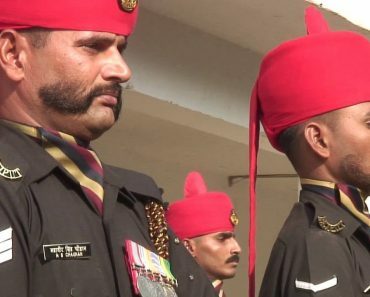 Education Qualification Army Jobs: Education qualification 10th/high school/matric pass required for Cook, Barber, Store Hand, ASH, Ferrier, Mess Waiter, Postal, Pnr, Painter, Tailor, Carpenter, Washer man, Mochi, Wood, Cyce, Guard Dog for Soldier Tdn recruitment rally bharti in Indian Army. Education Qualification for few trades like Mess Keeper and House Keeper 8th class pass required under Sol Tdn category for Indian Army Recruitment Rally Bharti. Reservation for SC/ST/OBC in Army: Reservation for SC/ST/OBC is not available in the soldier category for army recruitment rally bharti for tradesmen. However, reservation for son/brother/wards of service men/ex servicemen is available through UHQ Quota Relation Recruitment Rally. Relaxation Facility is also given to the candidates in height, weight, chest and bonus marks are given during written examination/final merit of army rally bharti. Online Registration/Application Form Sol Tdn: Army Recruitment Rally Bharti date for recruitment in Sol Tdn category is published in local news paper and Indian Army website www.joinindianarmy.nic.in and vacancies allotted to concerned army recruitment offices twice in a year. 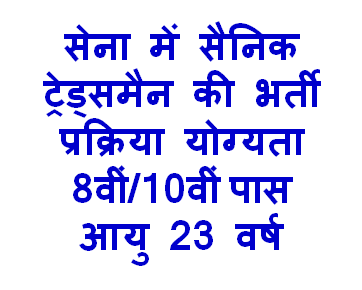 Candidates may visit on Indian Army Rally Bharti Date for Army Jobs Information. Online Application Document Army Job Sol Tdn: Candidates are advised to submit online application for Indian army recruitment rally in advance and not wait for last date. 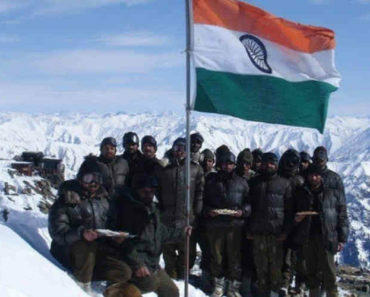 Complete all army online registration related documents required for online application for army recruitment rally well in advance and apply as early as possible to avoid any complication for submission of online application form for soldier category. 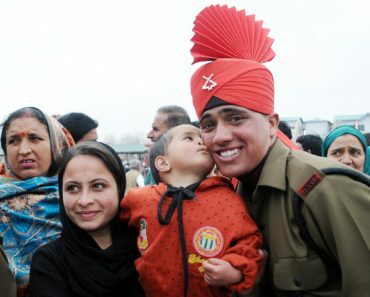 Army Bharti Admit Card: On completion of online registration of application date for army recruitment rally bharti, Army Recruiting Office will soon activate the download link for Army Recruitment Rally Admit Card 2019. Candidates of soldier tradesmen category need to provide correct information to download the Army Rally Bharti Admit Card 2019. Army Recruitment Rally Bharti Download Admit Card/Hall Ticket/Call up letter Link will be available soon for all Indian army recruitment rallies just after last date for online application of respective Army Recruiting Office. 1.6 Km Race or 1600 Meter or 1 Mile Run. 60 Full Marks Group I: Candidates completing 1.6 km race/run within 5 minutes and 30 second will get full 60 marks in Group I. 48 Marks for Group II: Candidates completing 1600 meter race within 5 minutes and 45 second will get full 48 marks in Group II. 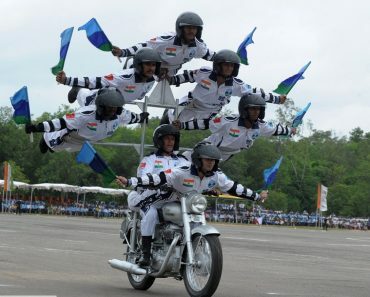 Zig Zag Balance: In Physical Fitness Test for army recruitment rally in Indian Army”Zig Zag Balance Beam” test will be carried out on the ground during recruitment rally. No marks will be given for zig zag balance candidates have to qualify only. Jump 9 Feet Ditch: 9 ft ditch jump will be tested on the ground in the army recruitment rally during PFT. No marks are awarded, should be qualified. Docu Preparation: On completion of PFT all original documents as per list will be checked and Recruit Master Data Sheet will be prepared by the recruiting staff at rally bharti site. 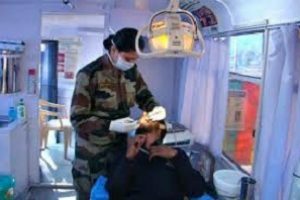 Medical Test: Medical Exam for candidates who found Fit in PFT/PMT and documentation will go through Medical Exam in the process of recruitment rally bharti for Soldier Tradesman candidates. Brief details of Medical Test. Medical Review of Temporary/Permanent Unfit Candidates: Candidates who found temp/permanent unfit during medical test Recruitment Rally Bharti will be given chance for review medical board on the same day. Unit candidates are required to report to medical specialist as per instructions given in review form and report to concerned military hospital/base hospital or command hospital with in the period given. Issue of Admit Card/Hall Ticket: Recruiting Candidates, who found medically fit at recruitment rally site will be given separate admit card for common entrance examination (CEE) for army recruitment by the respective army recruiting office staff conducting the army recruitment rally. Date, Time, Place of written exam are given in the written exam admit card with instructions. Admit Card for Unfit/Review Candidates: Admit Card/Hall Ticket for review candidates will be issued by the respective army recruiting office conducting the recruitment rally bharti, on declaration of Fitness by the recruiting medical authorities. Army Written Examination: All candidates have to through army written test as per date, time and place given in the admit card for army recruitment. Detailed Syllabus and Exam Pattern for Sol Tdn, Model Question Paper for Sol Tdn Exam. Marking System of Army Written Exam: On completion army recruitment written exam (CEE), answer scripts are packed and sealed by the board of officers at army written exam center and are sent through special courier to respective Headquarters Recruiting Zones for evaluation. Marking of answer copies and preparation of Final Merit List are carried out by special board of officers as nominated by HQ Rtg Zones. 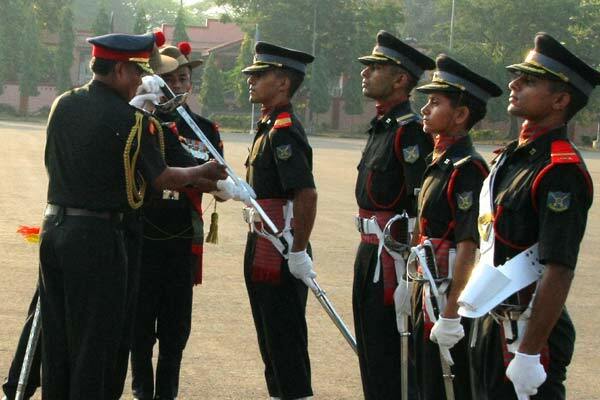 Army Bharti Vacancy: Final merit list of army recruitment rally bharti is prepared by ZRO. Vacancy for Sol Tdn, Sol GD, Sol Tech, Sol Clk/SKT, Sol NA and other soldier category is allotted per notification of army recruitment rally. Dispatch of Candidates for Army Training: On declaration of army written exam result, successful candidates have to report to respective Army Recruiting Office along with complete final dispatch documents in original for report to regiment and center for basic army recruit training. Important Search Link for Indian Army Recruitment Rally, Join Indian Army Eligibility Sol Tdn, Hwo I can select in Sol Tdn in army, What is age limit for selection in sol tdn in army, Soldier Tdn kya hota hai. Indian Army Multi Tasking Staff Bharti. Hello Vikash, yes you can apply. 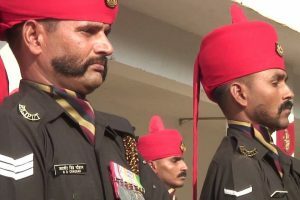 Hello Vasim, OK Taiyari karo aur Army Join karo. Hello Aniket, aap kya janana chahte ho? Hello Shivam, check on “TA Army Bharti on Jobinfoguru” and apply today. 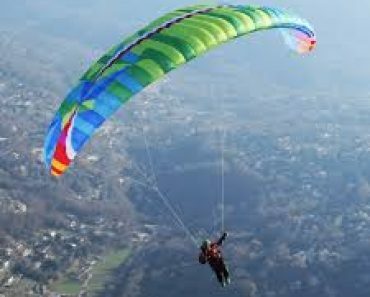 Hello Jitendra, OK wish you all the best, apply and join army, navy, air force or police. aap ko kis prakar ki jankari chahiye comment me likhen.